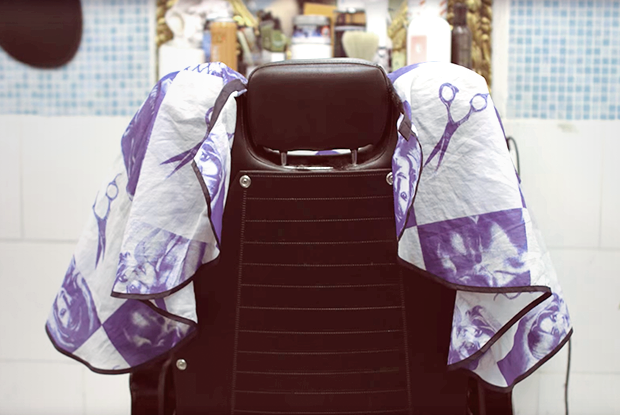 A new music video by a local duo features a catchy track and great art direction and dancing, but the real star of the production is the setting: a Bushwick hair salon that has always been ready for its closeup. Performers John Bigmun and Mark Frost shot the video for their song "Ciudad Nights" at Enrique's Unisex Salon and Barber Shop at 927 Broadway, below the track of the J, M & Z trains a block away from the entrance to the Myrtle Ave-Broadway station. Several salons and barber shops dot the Broadway commercial corridor, but Enrique's stands out due to its striking aesthetic: light blue tiling, Grecian statues and accents, silk flowers and multi-colored lighting are fixtures of the space, which is often at capacity during business hours. The video makes great use of the space, putting its design elements front and center in a series of closeups at the beginning of the song and featuring the barber chairs and dome dryers in the choreography.